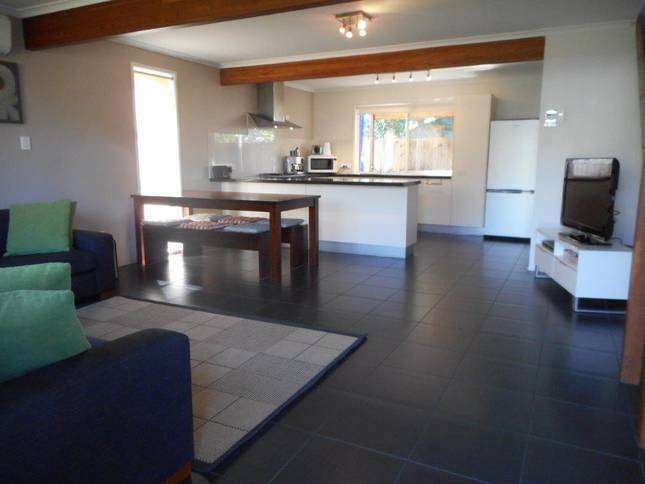 Caloundra Beach Townhouse is a Pet friendly, freestanding 3 bedroom home in Caloundra. 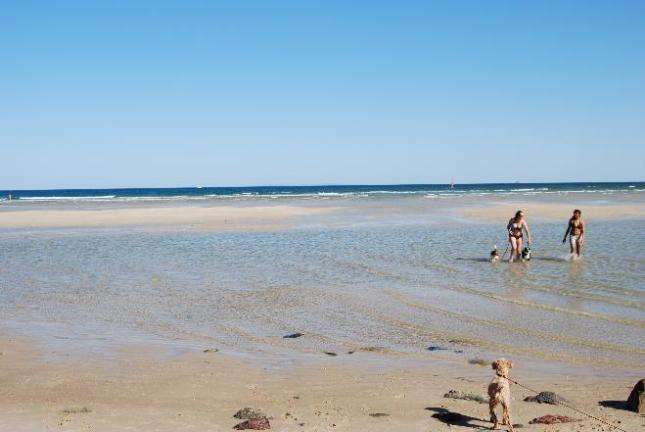 400m to Caloundra Beach, 200m to Restaurants / Shops / Cafes (Caloundra Main St). 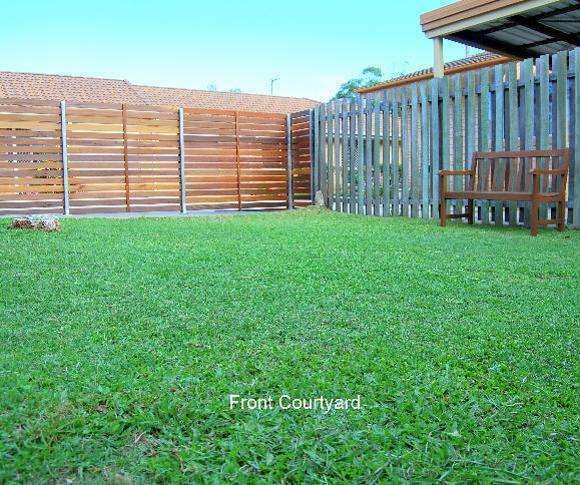 Fully fenced with a grassed courtyard area at the front, room to roam around the side and a rear undercover entertainment area with BBQ & outdoor setting, this superb Townhouse in Caloundra is an ideal vacation and location for the entire family, including your four legged family member. .
Accommodates up to 6 guests plus 2 doggies. Minimum Stay 3 - 7 nights. 3 night minimum in Low / Mid season. 7 night minimum in School Holidays & High season....Gap stays considered. Nightly Rates from $160 to $250. 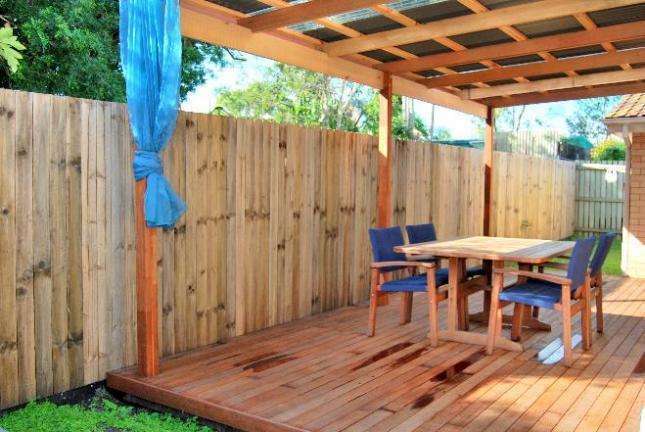 Weekly Rates from $850 (equates to $120 p/n) to $1750 (equates to $250 p/n). Please enquire for an accurate quote or visit our webpage at link below in the CONTACT section. 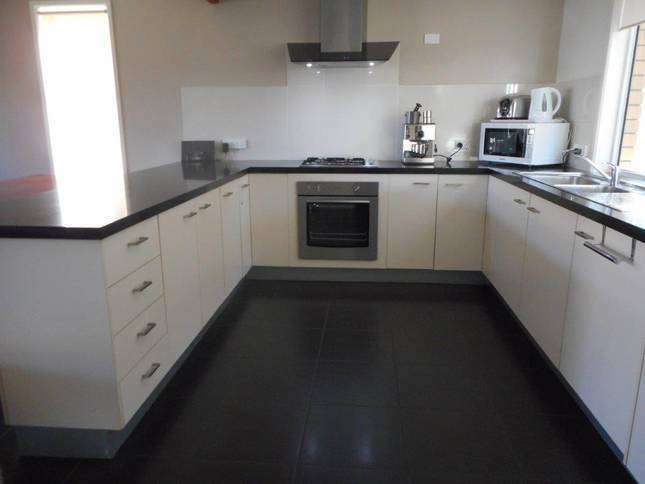 The generous open plan living / kitchen area, fully tiled with a comfy lounge suite, 101cm LCD HD T.V, Dvd and iphone / ipod docking station with radio. The living area also has fixed temp air conditioning (24 degrees). The black granite kitchen is well equipped. The 3 upstairs bedrooms are comfy, carpeted and decorated in neutral tones. The main bedroom has the warmth of a timber/rattan Queen bed with side tables and the comfort of air conditioning and a ceiling fan. The main bedroom also has an LCD T.V / DVD. The second bedroom has a King Bed which converts into 2 Singles. 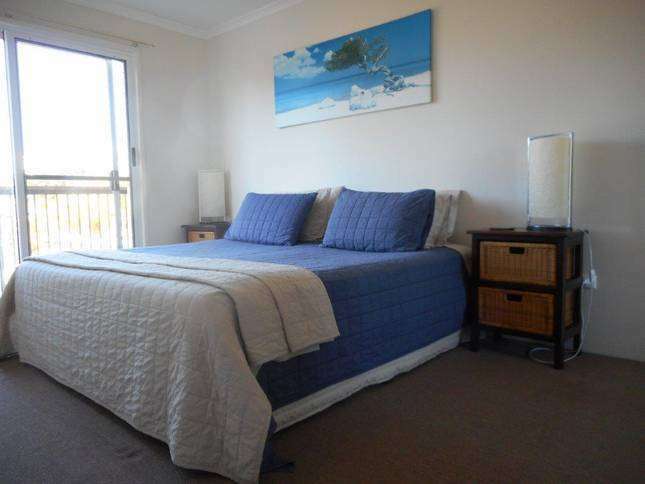 The third bedroom has a single bed with a Trundle - both bedrooms have sliding glass doors to the balcony and wall fans.The bathroom has a shower, vanity and toilet. There is also a 2nd toilet downstairs. The Townhouse presents as light, clean and comfortable with warm neutral tones and timbers. On request we can supply a highchair and Portacot. The property also has a single remote garage.